Testing, testing. Anybody there. Ah well, who can blame you……I know it’s been a while but I’ve had a lot on my plate. More on that soon. For now, here’s a post first drafted over 6 weeks ago. It only seems right to confess that we’re back eating devil’s food. The kind of food that makes your cholesterol rise, your blood sugar levels spike and brings your intestines out in hives. For all the downsides of the humble loaf there is nothing so versatile as a slice of bread, whether as it comes or toasted golden brown. As with all things in life, moderation is key. Long gone are the days of toast for breakfast, sandwiches for lunch and a sneeky slice to quash those ad-hoc hunger pangs. Instead a slice of bread is reserved as a treat for weekends, high days or holidays, and making a naked soup into a wholesome meal. Having spent almost two years experimenting with alternative wheat free “breads” I decided that it wasn’t worth the compromise. Admittedly our breads at home are made either with spelt or rye and it feels like a fair balance of pleasurable and healthy eating. There is nothing better than to rustle up a soda bread early on a weekend morning in time to eat it for brunch. Although I do wonder from time to time whether I should give the tried and tested quick artisan bread another go. I know this may sound a bit dumb but one of the things I noticed most about coming back to eating bread is how floury bread tastes. 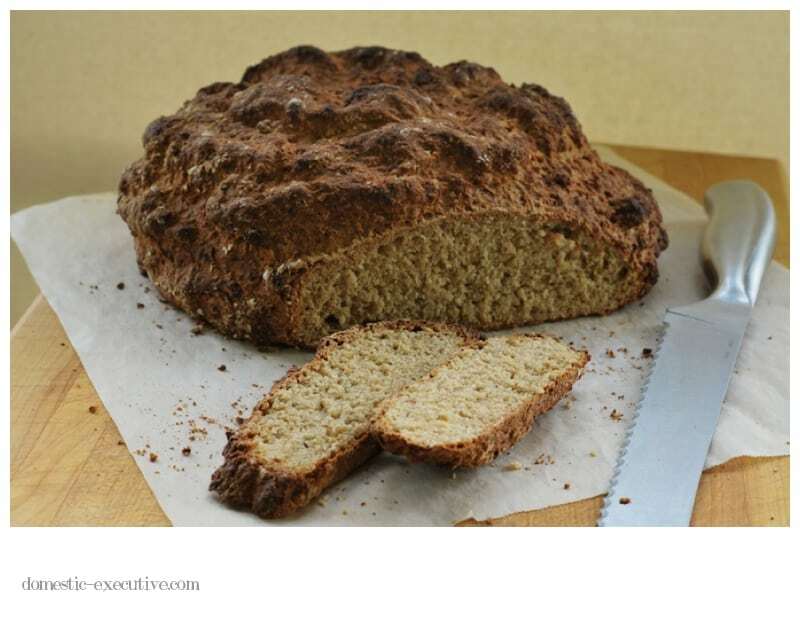 There is much debate on what might constitute the perfect soda bread. I now swear by Richard Corrigan’s recipe for the perfectly balanced no yeast bread as it brings a lighter touch and creamy texture without a hint of excess flour. Most of all this bread feels like bread. It has bite, structure, and chew that no without-breads ever did. If this is the work of the devil, I’m delighted to be back riding with the devil again. I admire your persistence in trying to make life without real breads work; I know I couldn’t do it. I love my morning toast too much! By the way, we have a few lovely bakeries here I’ll have to take you to…hee, hee.